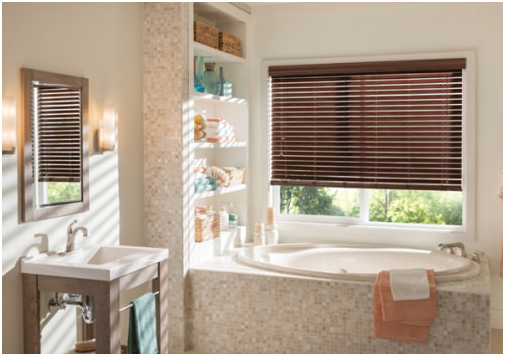 Choosing blinds for your bathroom should be a fairly simple task. Your main considerations should be humidity, privacy and style. The bathroom is a place where you can relax and unwind after a day’s troubles, so you will want to make your choice of blind one that will enhance the mood of your bathroom. Fabrics and wood are easily damaged by humidity. Humidity fluctuation will damage fabrics and can warp wooden blinds. To avoid this, the best choice is moisture resistant blinds like waterproof roller blinds. Faux wood blinds are also an option for those who love the look of wood. You also put the health of your respiratory system at risk by exposing it to mould and damp that can occur on non-water resistant materials. This also poses a danger to your immune system. Bathrooms are one of the rooms in your home in which privacy is of utmost importance. When choosing a blind you need to make sure that it is up to the job. A flimsy lightweight blind might let you down in this department. Your options are blackout blinds or ones made out of thicker materials. The benefit of thicker materials is that they are often resistant to water and are generally all waterproof. Waterproof roller blinds are an excellent option for bathrooms. 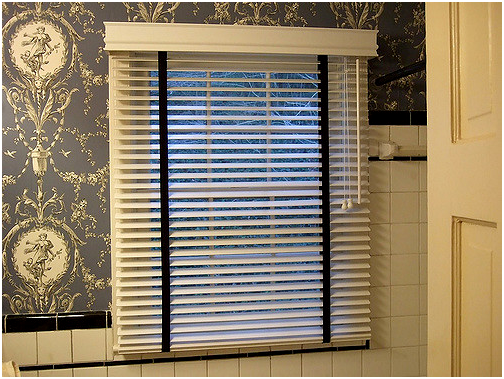 There is no reason why your bathrooms blinds should not be as stylish as the blinds anywhere else in your home. With the huge variety that is available today you can quite easily afford to have your blinds made to measure and fitted by professional suppliers. Many suppliers also have professionals available to answer all your questions through their showrooms or websites. Making the right choice of blind in terms of style can be equally as important as privacy and humidity considerations. Vertical roller blinds give privacy and let you control the amount of light you want to let in. However, to get the most effective blind, you should contact stockists of PVC waterproof roller blinds. These are the most durable and come in a multitude of colours and patterns. Ultimately your decision will be based on your own personal style and what is available in terms of price, privacy and durability in that regard.